Excella is looking for a UI/UX Designer. If you meet the requirements below, you will be eligible to apply via Digital Marketing Community. Identify user behaviors through contextual research, interviews, focus groups and facilitation. Collect and analyze large data sets for patterns. Build and implement usability tests. Create and care for usable content through content audits, reviews and governance. Establish the structure of a website or application by designing content layouts and navigation. Design user flows and human-computer interactions. Develop and maintain design wireframes, mockups, style guides and specifications. Determine use cases and user interaction to design solutions to support business objectives. Carry wireframes to the delivery of final high fidelity UI mockups. Develop and improve through low fidelity and high fidelity prototypes. Design and recommend visual styles and standards. Bachelor’s degree in library sciences, human-computer interaction, information Systems or any related field. Minimum 3 years of working experience in the same role. Proficient experience in using (Balsamiq, Axure, Omnigraffle and Sketch). Effective experience in creating micro-interactions and animations. Expert understanding of using (Adobe Creative Suite). Exceptional communication skills (verbal, written and presentation). Strong analytical aptitude with the ability to structure complex or undefined business problems. Excella is an Agile technology firm helping Washington, DC's leading organizations realize their future through the power of technology with a community of experts, problem solvers, collaborators, teachers and leaders, creative minds and analytical thinkers. 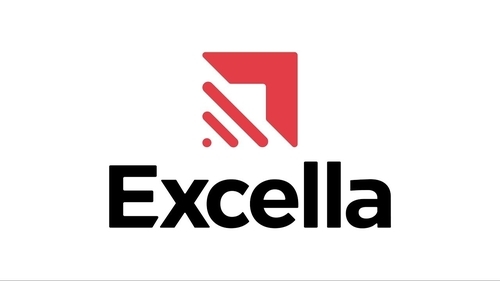 Excella is an Agile technology firm helping Washington, DC’s leading organizations realize their future through the power of technology with a community of experts, problem solvers, collaborators, teachers and leaders, creative minds and analytical thinkers.